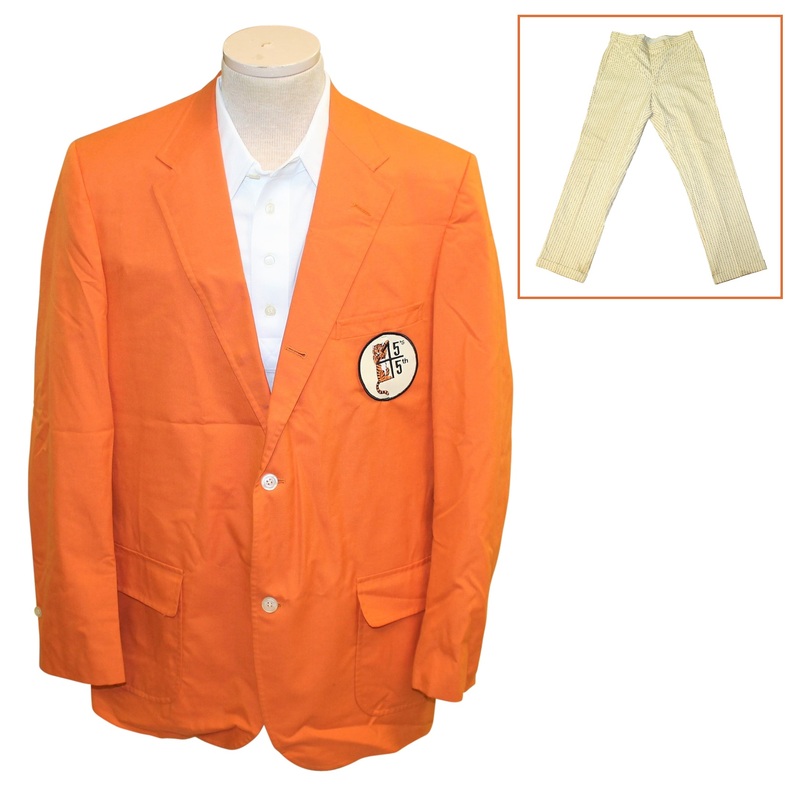 Here we have Bill Campbell's 1945 Princeton Tigers 45th anniversary blazer and pants. 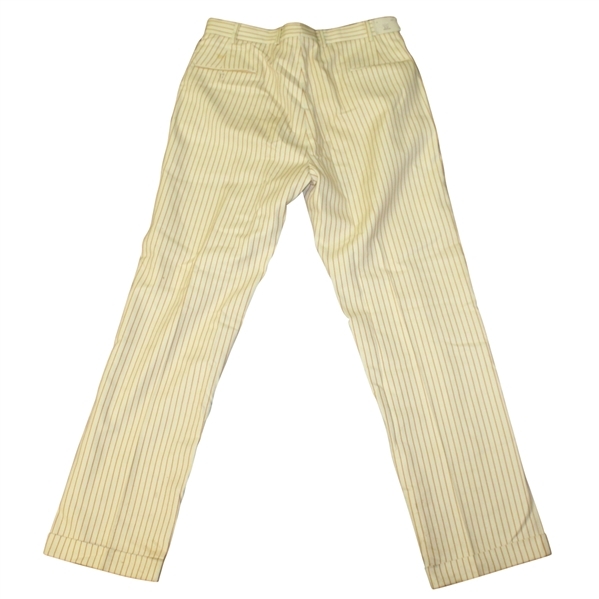 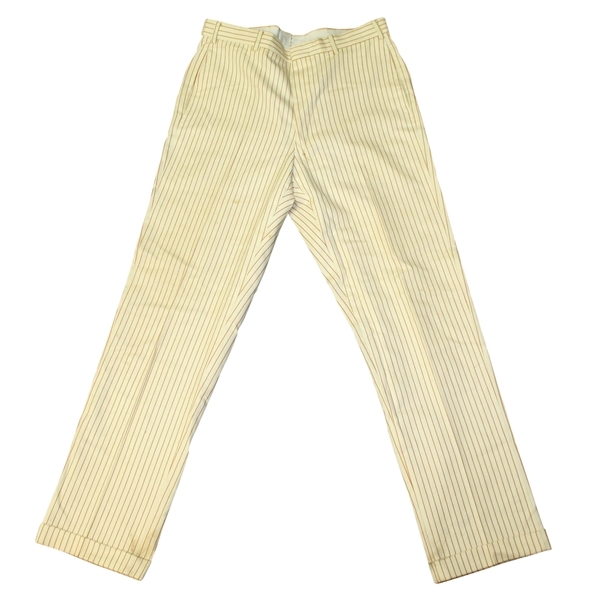 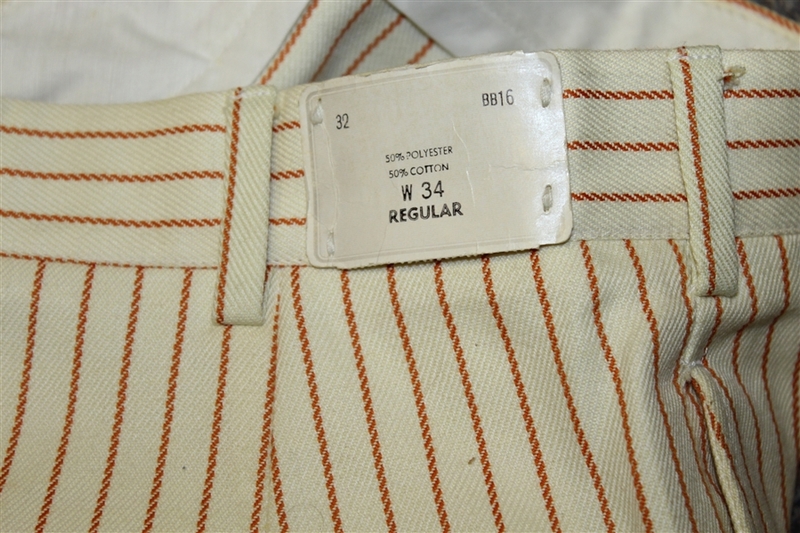 They both come in great condition, the pants still retaining the original tag. 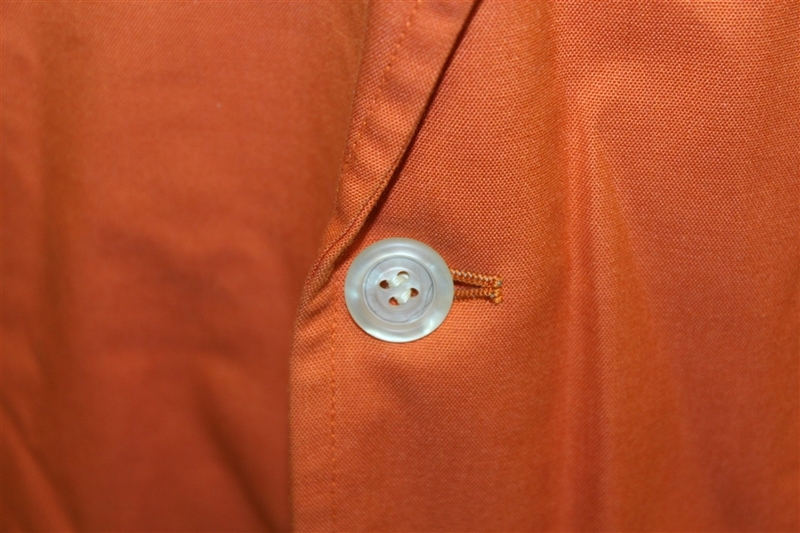 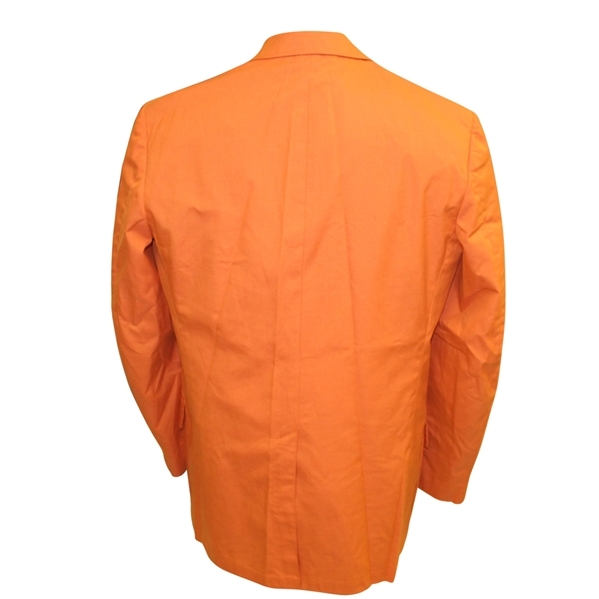 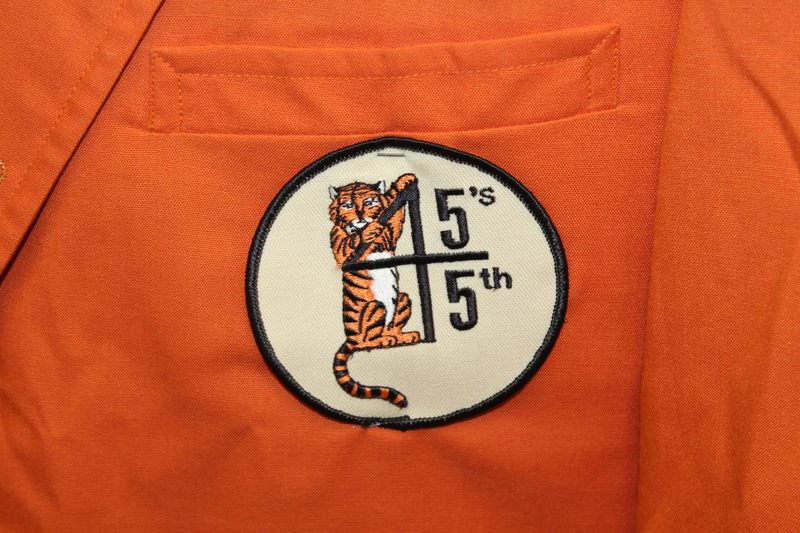 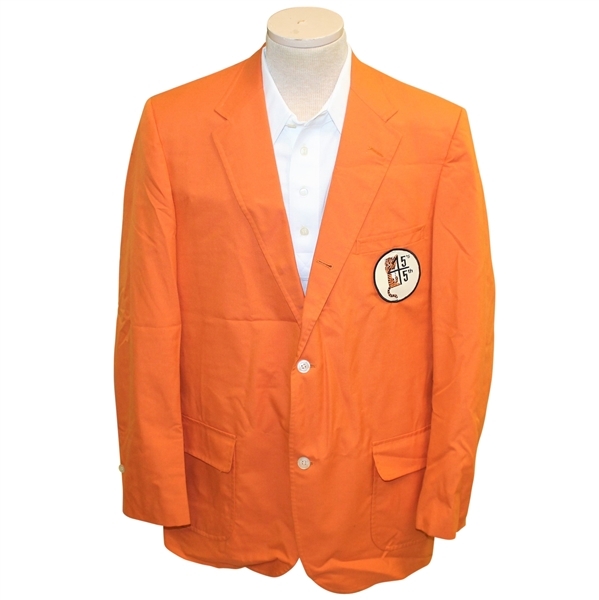 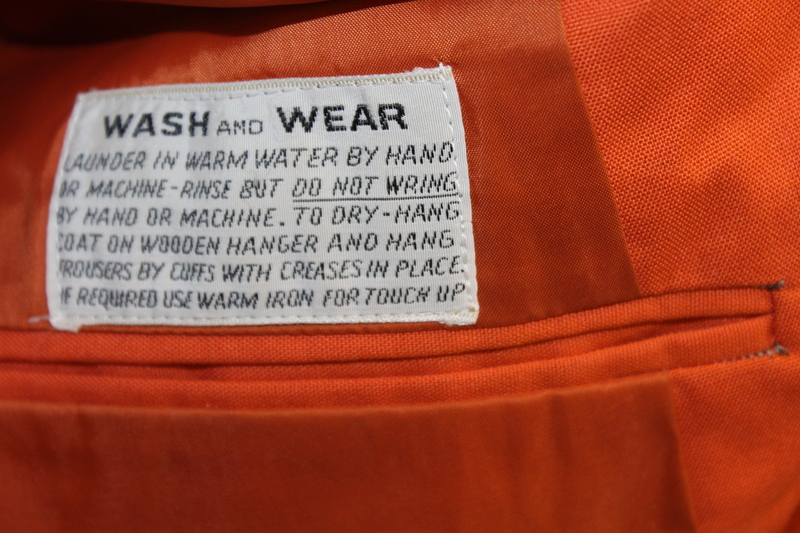 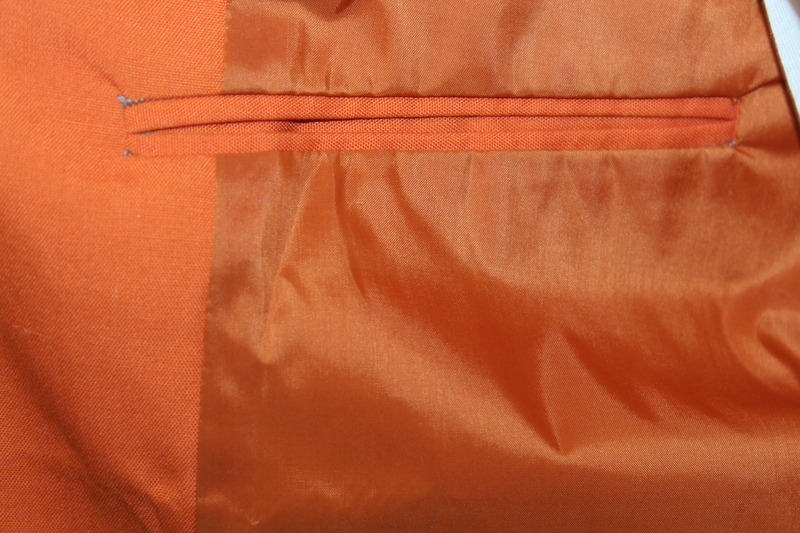 The jacket and pinstriped pants bear the Princeton orange school color. The pants are size 34.